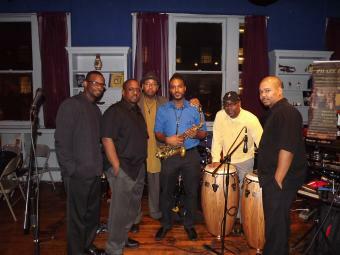 Phaze II is one of the hottest contemporary jazz groups on the local music scene in the Washington, DC area. Phaze II has embarked on a musical journey to show the world the many talents that this jazz band has to offer. In 2000 Phaze II released their first CD entitled Options. The track Bailey's Groove finished number 29 on the Smooth Jazz 105.9 Sunday Brunch's top 50 hosted by Al Santos. Phaze II released their sophomore CD "Backtalk" in 2004. The Backtalk CD has versatile sounds that range from Latin Jazz, Funk and R&B. Determined to broaden their vision Phaze II entered the 2005 Capital Jazz Challenge Competition. Held at the 13th Annual Capital Jazz festival. This festival is one of the largest contemporary jazz festivals in the world. The final competition consisted of six bands chosen from over 600 entries from across the country and Phaze II was chosen the winner. Phaze II received a monetary prize and won the honor of being the opening act for; Paul Jackson Jr., Spyro Gyra, Jazz Attack, Laila Hathaway, Marcus Miller and Kenny G just to name a few. Phaze II released "Live N Uncut" a live CD/DVD set in 2010. They also released Live In Anaheim 2013. The Live In Anaheim CD was recorded at the 2013 NAMM Show in Anaheim, CA. Phaze II is now a highly sought after back up band. They have worked with Regina Belle, El DeBarge, MeLisa' Morgan, Frank McComb, Paul Taylor, Cindy Bradley, Lin Roundtree. Tony Exum Jr and countless others. Phaze is about to release their 5th CD later this year.